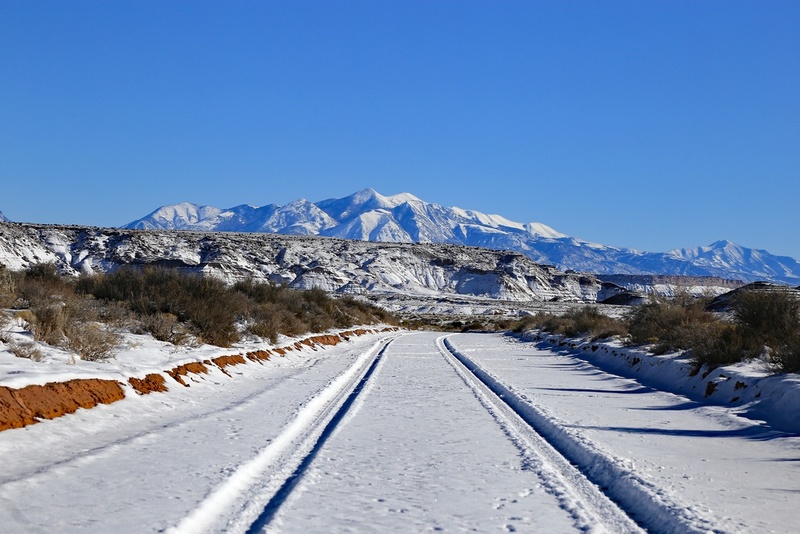 The weather station at the Torrey post office told me there had been snow overnight and since it was now a clear blue sky day I thought I might drive out to Cathedral Valley. The Queen of the Wash looking majestic as always. The Temples of the Sun and Moon. The Emery County side of the Wayne County Wall. The Wall of Jericho, the three spires are called Mom, Pop and Little Henry (from r to l). This is approximately where John Fremont made camp on his aborted journey through Cathedral Valley, the location is only known due to a daguerreotype taken by the expedition ‘photographer’ Solomon Nunes Carvalho .